Do you want to create a unique URL for your image gallery? You may want to share your photos directly with your clients, friends and family. In this tutorial, we will share how to create a unique page URL for your WordPress gallery. Photographers commonly need to add multiple photo galleries to a single blog post or page. The problem is, if you want to share one individual image gallery with someone, you’ll have to share the link to the entire post/page with all the other irrelevant WordPress galleries. By default, WordPress doesn’t allow you to create a unique page URL for your image gallery. You need to use a plugin like Envira Gallery that creates standalone URLs for each photo gallery on your site. The first thing you need to do is to install and activate Envira Gallery plugin on your WordPress website. For assistance, you should check out this guide on how to install Envira in WordPress. 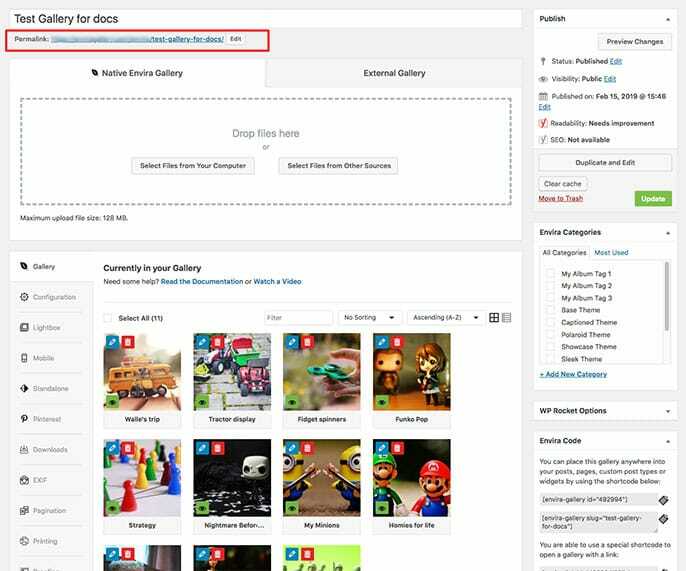 Once the plugin is activated, you need to go to Envira Gallery » Add New from your WordPress admin. 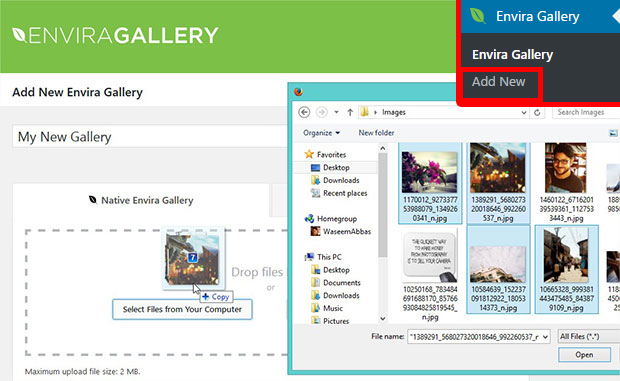 Give a title to your new image gallery and add the photos in the Native Envira Gallery section. To learn about the basic gallery settings, you should check out this complete guide on how to create an image gallery with thumbnails in WordPress. After adding the photos, simply hit the Publish button. You’ll see the unique page URL for your WordPress gallery below the title. You can use this permalink to directly open the image gallery in your browser. Simply copy this URL and share it with your clients, family, or on social media. That’s all. We hope this tutorial has helped you to learn how to create a unique page URL for your WordPress gallery. You may also want to check out our guide on how to optimize your WordPress images for SEO. If your website have hundreds of images that are effecting the loading time, check out this ultimate guide to boost speed and performance. It really works!